The Nominating Committee evaluated nearly two dozen Candidate Consideration Forms submitted by members who wished to be considered for the highest leadership positions in NAFA. Each committee member evaluated every candidate on 10 characteristics and skills deemed desirable by NAFA’s Board of Directors. The committee also considered the candidates’ work background, involvement with NAFA, and ability to help advance NAFA’s mission, goals, and strategic plans. Members of the Nominating Committee were: Ruth Alfson, CAFM®, (Chair and Immediate Past President); Ray Brisby, CAFM®, (current NAFA Director); Michael Camnetar, CAFM® (current NAFA Director); Beth Cooley, CAFM®; Michael Freidel; Alicia Hammond, CAFM®; and Kathy Wellik, CAFM® (current NAFA Director). NAFA member and current member of the Board of Directors Patrick Barrett, CAFM®, University of Nebraska – Lincoln, is using NAFA’s “Nomination by Petition” process to attempt to have his name included on the ballot for election to the NAFA Board of Directors. This process is available to any eligible NAFA member, including those who apply to be considered, but are not chosen, by the Nominating Committee. In Mr. Barrett’s case, he submitted a Candidate Consideration Form for the Nominating Committee to evaluate, but the committee nominated four other people (see above) to fill the four upcoming vacant Board seats. Because Mr. Barrett’s current Board term is expiring in February, the only way for him to potentially remain on the Board for another three-year term beyond February is to submit a petition, signed by at least 10% of the members, asking that his name be included on the ballot. If Mr. Barrett is successful in getting those signatures, his name will be added to the ballot and there will be a contested election among the four candidates selected by the Nominating Committee and Mr. Barrett. Mr. Barrett recently communicated with a great number of NAFA members seeking their signatures on his petition. Unfortunately, that communication erroneously stated this was the first time in NAFA’s history that the nomination by petition process has been used. The process was used once before; in that case the individual obtained the requisite number of signatures and was included on the ballot, but then lost the contested election. Should there be a contested election of five candidates for the four Board seats, a ballot containing the names of all candidates will be made available to every eligible NAFA Regular Member, Associate Member, Retired Member, and Honorary Member no later than 5 pm Thursday, December 20, 2018. Voting will remain open until 5 pm Eastern Time, Wednesday, January 9, 2019. The four candidates receiving the highest number of votes will be elected to the Board of Directors and begin their three-year terms in February 2019. If there is a contested election, NAFA will provide each candidate the ability to write a one-page communication piece regarding his or her candidacy for election. These communication pieces will be distributed to all voting members by NAFA, not by the candidates themselves. Candidates found to have distributed, or to have authorized or acquiesced in the distribution of, the pieces may be disqualified. NAFA will also post the candidate communication pieces on the election ballot itself. NAFA and each NAFA Chapter shall not campaign, participate directly or indirectly or utilize any Association funds to support or oppose the nomination or election of any candidate for NAFA office at any national or Chapter level. No endorsement or other support for any candidate may use the name or logo of NAFA or of its Chapters or any of their officers in their official capacity in any literature or in any other manner. Activities for fund raising or otherwise generating support for any candidate are strictly prohibited during the meeting program of any national or Chapter meeting or event; however, this does not preclude any Chapter from inviting candidates who have been nominated for an office (either by petition or by the Nominating Committee) to speak to members at a Chapter meeting, provided that all candidates for that office shall be invited to participate under equal circumstances. 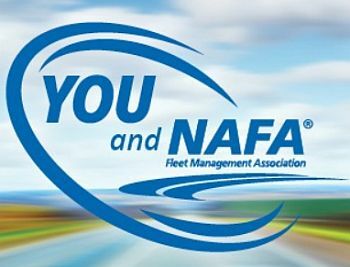 If there are no nominations by petition, NAFA’s Bylaws call for the NAFA Secretary to cast one vote in early 2019 for each of the candidates selected by the Nominating Committee.